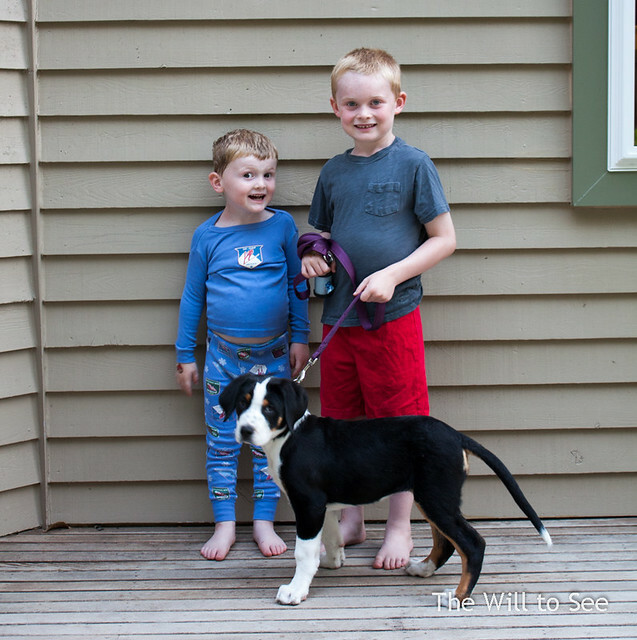 Since Islay will be growing so fast we are going to try to take weekly photos of her with the boys. It will be fun to watch her progress, since she is already taller and a few pound heavier than when we brought her home. I wonder how long it will be before she and Will are eye to eye.